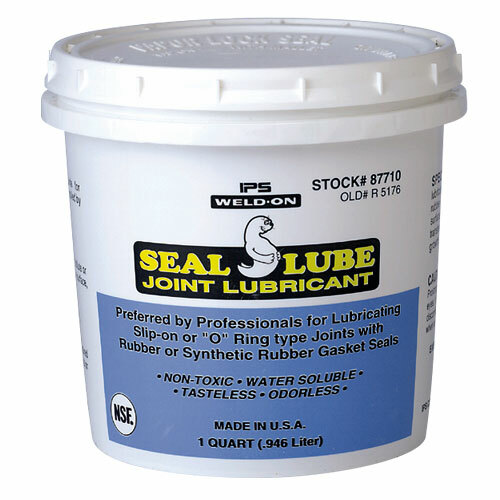 Primes and lubricates slip-on or “O” Ring type joints with rubber or synthetic rubber gaskets. Non-toxic and non-corrosive. No taste or odor. 100% water soluble.